The art of Dan Christ is an expression of his love for the outdoors - the natural world. It is a love resulting from a lifelong pursuit of exploring nature. Raised on a Berks County dairy farm at the foot of the Blue Ridge Mountains, Dan was a hunter, bird watcher, and nature photographer since a teenager. He was educated in Forestry at Penn State University. Dan also had a natural artistic talent for which he received recognition in high school and college, but which lay dormant while he pursued his forestry career. However, budget cuts eliminated his position with the United States Forest Service and while unemployed and searching for the meaning of life, he discovered God. Though raised in a church-going family, Dan had never committed his life to God until he became an adult. He recognized that God's Son Jesus Christ died to pay the penalty for his sins. By repenting of his sins and believing and trusting in Jesus as his Savior, he began a personal relationship with God, received the gift of the indwelling Holy Spirit, and a guaranteed residence in heaven. Dan met and married Pat during this time. As they began their relationship with eachother, they also began their relationship with their Savior Jesus Christ. This new relationship changed Dan's life, and one result was a rebirth of his artistic talent now expressing the beauty of creation through a heavenly vision. Even though indoctrinated into evolutionary theory throughout his educational pursuits, there were always doubts about it because of its impossibility. There was a lack of any factual evidence and a twisting of facts with the elimination of all data that didn't fit. Consequently, when educated in the creation theory all the facts fit together and made sense. Understanding and believing in God's creating everything to uniquely fit together in perfect harmony gave Dan this heavenly vision for the beauty of the natural world. Most of Dan's paintings are a result of his hunting and hiking experiences. They often begin with actual settings that depict perfect habitat for his subjects. The wildlife is blended into the scene to capture the thrill of a wildlife encounter anyone can appreciate. For some years now Dan has become known as "the guy who paints on turkey tail feathers." He began this venture by painting the obvious, a turkey, on a tail feather. 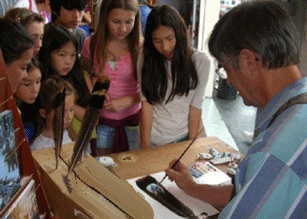 Then deer and bear were added, and now he paints a variety of almost any kind of wildlife on a feather. These are all framed according to the size of the feather. The average framed piece is 6 1/2" by 18". They are all hand painted original pieces, framed and selling for $165. Dan also combines two feathers to paint the complete animal. These sell for $185. On request he frames a painted feather with a print. Dan will paint an entire fantail with a different animal on each of the 18 feathers. 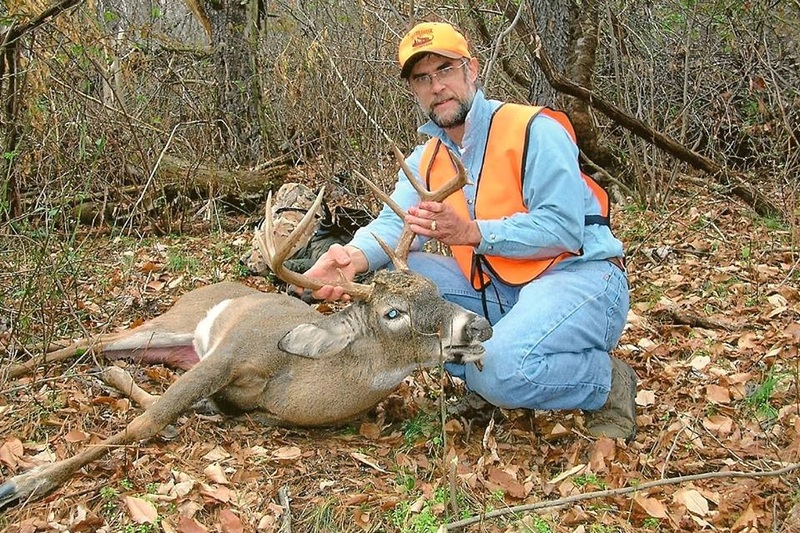 The 2009 Corporate Conservation Award was received by Dan in recognition of his print donations and support on behalf of the PA Chapter National Wild Turkey Federation. In 2012 Dan became a Life Sponsor member with the National Wild Turkey Federation. This is a result of Dan's years of contributing art work to the Federation.